Over the years I have met with many individuals who feel they should be the one to manage their properties that they purchase for investments and this often restricts them to purchasing in their home region when 99.9% of situations, investing close to home may not be the best investment. By dealing with a managing agent, it allows you to expand your search for an investment to other areas that have a bigger potential. 1. High level focus – It allows you to not get bogged down ‘in’ the business and gives you more time to focus on working ‘on’ the business. Managing a property and tenants requires a lot of co-ordination, firstly to get a tenant in but then managing the relationship throughout the tenancy. Just because a tenant has signed an agreement and moved in doesn’t mean it is the last time you will hear from them! 2. Good service for tenants – In order to keep tenants happy, a high level of service is required. This can be very difficult to uphold within your already busy life, especially if you are working full-time, not to mention when you start to build up your portfolio and have multiple properties. 3. Legals – There are a huge amount of legal requirements for landlords are often unaware of. An estate agent will be able to draft up the contracts for you, ensure they are approved and up-to-date and in-line with current legislation. They will also ensure that everything is kept above board and goes through smoothly. You will therefore, cover yourself from a legal perspective as good estate agents work with solicitors who specialise in sales and letting of property. This also gives you the peace of mind that you won’t run into legal issues moving forward. Estate agents are also there to assist you with the contracts, making sure you understand the contract terms and also to answer any legal questions you may have throughout the tenancy. 4. Local Knowledge – Reputable Estate agents and property managers have a solid understanding of the local area when you are looking to rent or sell a property. They are specialised in that area and are consistently involved in the market. Therefore, they are aware of what prices properties are renting for and what sort of demand is out there for your property. They also know how to target the right tenants for your property and may also have potential tenants on their books that they can get in touch with straight away. 5. Tenant confidence – Using a managing agent often provides tenants with more confidence as they are dealing directly with a professional and a company. Without a managing agent, tenants are often concerned that they won’t be provided the adequate level of service. 6. Marketing scale – An estate agent is regularly marketing properties for sale and for rent. 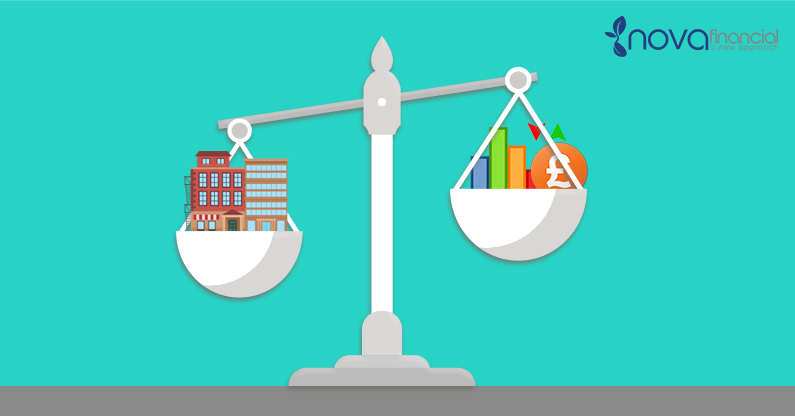 This means that they have economies of scale, for example; Advertising in their shop front as well as the multiple online platforms they have access to; Zoopla, Rightmove etc. They will be able to erect a professional looking sign at the property. Their current list of tenants, their own websites, databases and so on. For an individual marketing, trying to achieve the above when marketing your own properties not only can be time consuming but also potentially very costly. 7. Hands on Agents – Having an estate agents means that they will carry out all of the time consuming tasks that you would otherwise have to implement yourself. For example, they will organise and carry out viewings, take care of any correspondence and calls from potential tenants. They are also always available for potential tenants and current tenants, meaning that they can get in touch when they need. The last thing you want is for your tenants attempting to contact you at an inconvenient time. 8. Negotiation – with an estate agent in place you don’t have to deal directly with buyers or tenants when negotiations are taking place. The estate agent facilitate the negotiations directly with the buyers/tenants and removes the emotional side, enabling you to drive a harder bargain. Tenants will often respond better to being told they can’t move on the price compared to dealing directly with the landlord. This removes you from having to haggle or deal with awkward conversations and given agents are usually paid a percentage of the rent, it is within their interest to get a good level of rent. There are many situations where managing a property may be a good option, but we often find that investors are hindering themselves and discounting many great investments because they are outside of their local vicinity. Working with an agent can help you avoid mistakes that you are vulnerable to by working individually, like a legal slip-up or a void month of rent. On a final note, not all estate agents will do a good job, it is therefore important to do due diligence on them, look at reviews, try and get a first hand opinion from another landlord, make sure that the estate agent is established and isn’t going to disappear tomorrow. At Nova Financial we can offer property management across the whole of the UK, please feel free to get in touch if you would like further information.